Over 300 rare photographs, with detailed informative captions, recall Long Island’s crucial role as center of early aviation. Exploits of Charles Lindbergh, Glenn Curtiss, Jimmy Doolittle, and many other pioneers are told. First "blind" flights, seaplanes, endurance records, technological breakthroughs, much more. Introduction. Map. 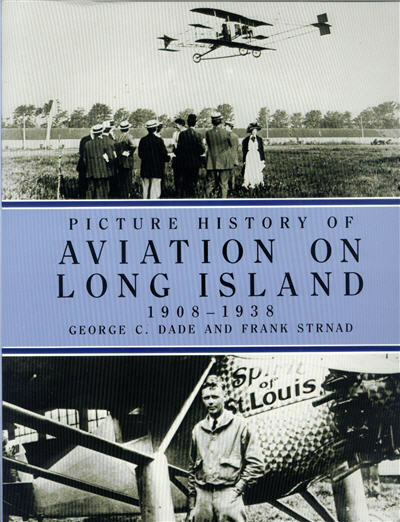 Picture History of Aviation On Long Island book: 184 pgs, softbound, 9 x 12, 306 photos, one map.